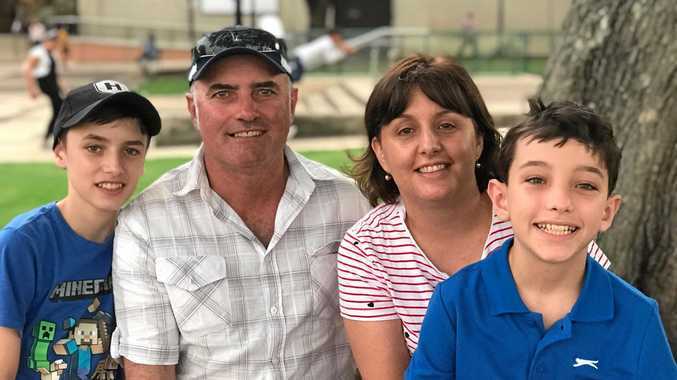 AUTHORITIES have confirmed a rubbish dump on the outskirts of the Southern Downs as a source of asbestos contamination that has affected at least seven sites across the region, including school ground and football fields. Asbestos contaminated mulch from the Allora Waste Transfer Facility was purchased by an external contractor to make top soil, an investigation has revealed. After recent testing, Workplace Health and Safety Queensland has issued Southern Downs Regional Council with a notice to stop supplying mulch from the site. The council released a statement this afternoon, saying illegal dumping seems to have occurred. 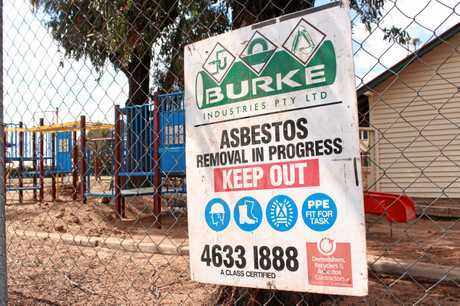 "Initial investigations into the presence of the asbestos at Allora indicate some users have unlawfully disposed of asbestos material at the facility," the statement reads. 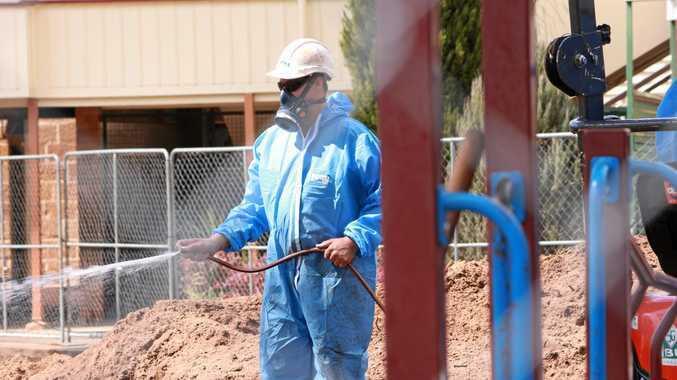 Workplace Health and Safety Queensland is continuing its investigation into exactly where the asbestos material has come from. "With investigations continuing, it isn't appropriate to comment on what action, if any, will be taken in regards to who may or may not have been responsible," the WHSQ spokesman said. Parts of the Allora dump have now been sectioned off. "Until works are completed at the Allora site, only general waste, green waste and cleaned containers eligible under the Drum Muster Program will be accepted," the council statement reads. "Asbestos is prohibited at all SDRC waste facilities, except for Warwick and Stanthorpe. "SDRC is currently reviewing its waste management procedures and practices and is working closely with WHSQ to undertake a number of measures and to ensure all workplace health and safety obligations are fully met in the future." The WHSQ spokesman confirmed contamination has affected at least six different sites around the Southern Downs. He said property owners with with contaminated soil have been contacted and advised the soil is low risk, but to keep it damp until further notice. "The pieces of asbestos material were bonded, and could not be crumbled, pulverised or reduced to powder by hand pressure," he said. "This coupled with the very minor amounts found means the likelihood of airborne asbestos fibres in concentrations greater than the environmental background or the workplace exposure standard for asbestos is negligible.